It is with great joy that Peace Memorial Presbyterian Church called the Rev. 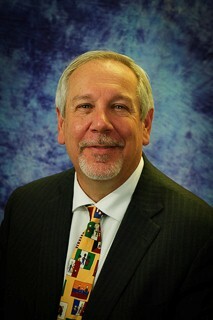 Robert Scott to serve as pastor to our congregation. “Congratulations, Rev. Scott – you have a moderate-to-severe case of Spinal Stenosis!” That’s what the orthopedic specialist said to me as we looked at my MRI results. I learned that spinal stenosis is a constricting or narrowing of the spinal column which leads to a lot of arthritic pain. “Well what do I do about it?” I asked. I was so hoping he wasn’t going to say lose 40 pounds. I recommend starting with physical therapy…and losing some weight wouldn’t hurt you either.” Darn! Now, all of this has got me thinking … about Lent. (I know, weird right?!) The Season of Lent is that 40 day period in the Church (excluding Sundays) that leads up to – and is designed to prepare us for – the celebration of Easter. The season of Lent is a time for us to re-dedicate ourselves to our “walk of faith” with Christ, even as he walks to the Cross for us. So often, when we think about Lent, the first thing that comes to mind is about “constricting” – i.e., “Giving something up for Lent!” And, certainly, there can be great value in cutting out, or fasting from, certain foods, attitudes, or behaviors that are unhealthy. But let me suggest to you that Lent is also about “taking up”certain spiritual practices like worship, prayer, scripture, service, and giving – spiritual “exercises, if you will – that are designed to “lengthen” and “strengthen” our spiritual life. You see, the wisdom of the Church is that by diligently practicing such “exercises” we open up space in our souls that has become narrowed and hardened over time by the pressures and weight of the world. So let me invite you to consider making space this Lenten Season to engage in some “Physical Therapy for the Soul!” Join us for our series of special worship services; use the enclosed daily devotional; take part in a book or Bible study; get involved with one of the ministry opportunities here at Peace…you can read about opportunities to do all these, and more, in the page of this newsletter. And by doing so may we all stand a little straighter, and move a little freer, in our relationship with God!